Gutter guards are designed to prevent clogs by keeping leaves, debris and other solid particles out. This ensures the free flow of water and you can enjoy a problem-free gutter for years to come. It is advised to choose a robust and high quality gutter guard. At Gutterfix, we will help you select the best gutter guard system for your home. 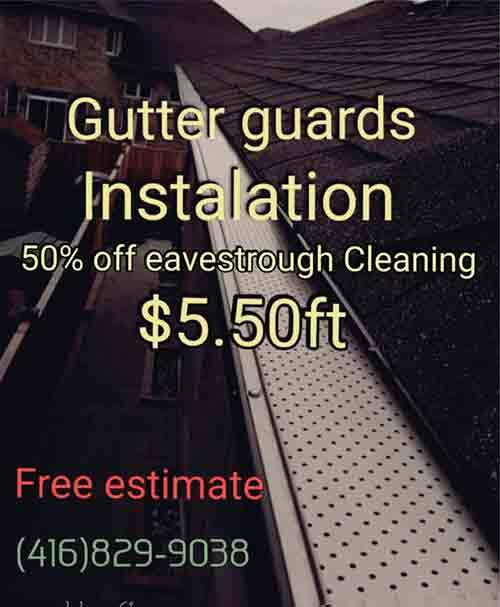 We use only high quality gutter guards across the GTA area. Apart from installation, we can also repair and maintain the pristine condition of your gutters and gutter guards. Want To Install High Quality Gutter Guard System In Your Home? Contact us TODAY! When it comes to quality gutter guard system, we are the most trusted source across the GTA area. We take care of all your gutter guard installation, repair and maintenance needs. When you will call us, we will first inspect the condition of your gutter to determine its condition. We always offer a free and no obligation estimate.